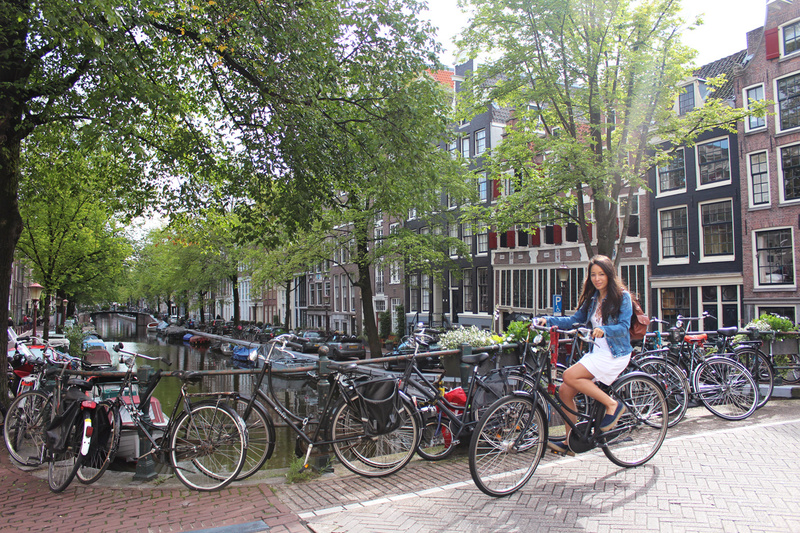 You can’t possibly expect to experience Amsterdam like a local without getting on two wheels. The good news is that Amsterdam is pancake-flat and it’s filled with cycle tracks. 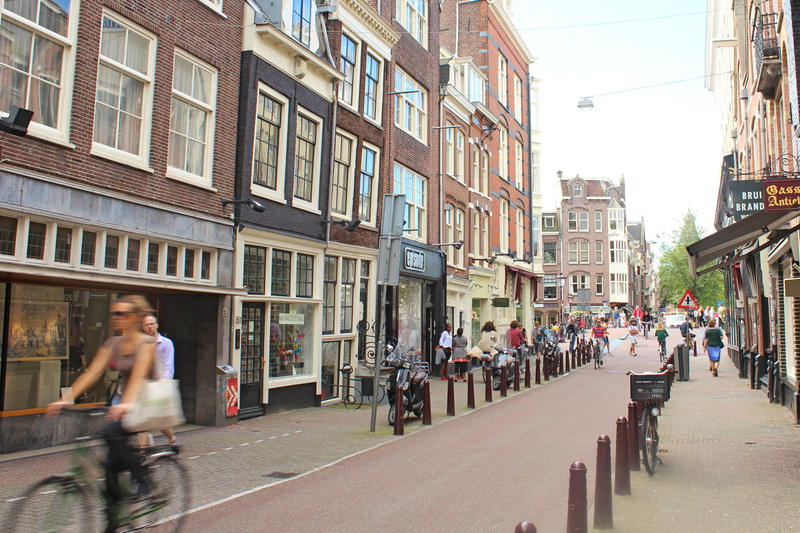 The bad news is cycling in Amsterdam is not as easy an activity as the Dutch make it look! But hopefully, these tips and information will get you rolling on those two wheels as quickly as possible. Over 75% of Amsterdammers own at least one bike, totaling an incredible 881,000 bikes in a city of 780,000 people – yep, there are more bicycles in Amsterdam than the number of residents. Also, around half the journeys in the city are made by bike, and those add up to a daily total of about 2 million km. Cycling in Amsterdam is practical, cheap, enjoyable and healthy, so join the locals and hop on your bike! Bicycle rental shops can be found all over the city, especially in tourist areas like Central Station, Dam Square and Leidseplein. Day rates vary from € 5 to €20 with some multi-day rates as low as € 5. Dutch bicycles look different from them, and they probably look similar to what you rode as a kid. Dutch bikes are black, with only one gear and a coaster brake, and for this reason I rented mine from Black Bikes, which offers classic Dutch bicycles that blend in seamlessly with the crowds riding gearless step-through bikes. They’re very heavy, probably close to 40 pounds, so don’t try carrying one of these monsters up a set of stairs! Some bicycle rental places offer helmets as an option for adults or kids, but you might be the only person in Amsterdam wearing one. Seriously, they really don’t believe in them, you might as well call it 0% – it’s certainly not 1%. I recommend heading to one of Amsterdam’s gorgeous parks: Vondelpark is lovely, but you can also try cycling around Rembrandtpark, Beatrixpark and Westerpark. Alternatively, you can cycle along the Amstel and in ten kilometers you’ll find yourself in charming, sleepy Oudekerk aan de Amstel. The newly opened Rijksmuseum is also a real treat because they also reopened the bike path that goes right through the museum. 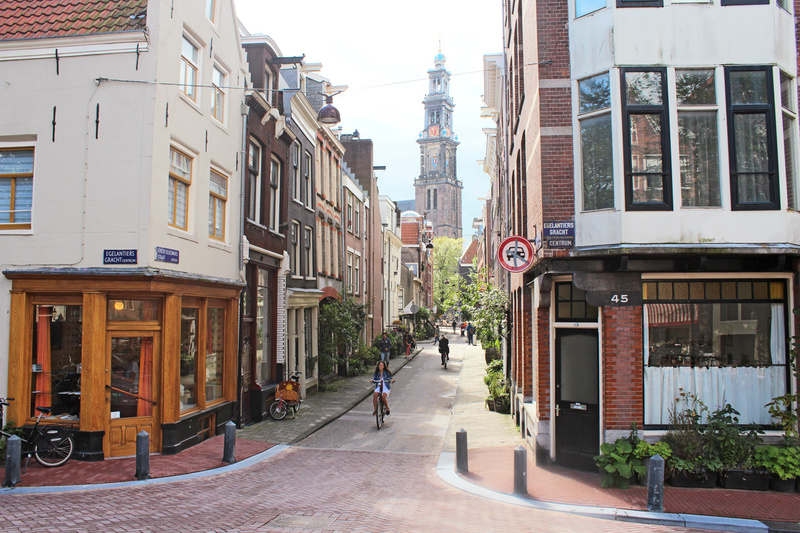 Finally, cycling in the Jordaan neighborhood is delightful, and Eerste and Tweede Goudsbloemdwarsstraat are a couple of favorites. I mean it, pedal slowly while staring at canals, or stop to check your map, or stop to do whatever, and pretty soon all of Amsterdam will hate you. This doesn’t mean you need to fly like Superman down the streets—just soak in the cycle. You will probably see some people walking their dogs by bike, or bringing home groceries, flowers, furniture, children, girlfriends, grandmas or anything else one can think of. It’s good to try, but don’t expect to look exactly like a native. The Dutch have been biking for generations and balance is baked into their DNA! Stay in your lane, follow the rules of the road, give a sign before turning, keep an eye on other traffic and you’re good, hopefully. 1. Always, always, lock up your bike with a decent lock. About 50,000-80,000 bikes are stolen every year (roughly 10%) so people spend more money on locks than on their bikes! 2. Pay attention to tram, always. Pay special attention to tram tracks, as they are just as wide as a bike tire and they are just perfect for getting your wheel stuck. 3. See those white triangles painted on the ground? Those signs point to whomever is supposed to stop or yield. That means if the triangle is pointing at you, you, my cute friend, have to yield or stop to let traffic pass. By the way, “Uitgezonderd” means you can go. 4. You’ve got a bell, so use it! Don’t be afraid to ring. Whether it’s a slowpoke cycler, or a tourist who’s randomly stepping into the bike lane, a few drin drins can make a difference. Now you’re ready to bike in the city, and nevertheless survive! Have you ever cycled in Amsterdam and feared for your life, or is this just me?